“Two cringeworthy viral video clips from Vice President Mike Pence’s recent trip to Europe illustrate how unpopular the Trump administration has become with the United States’ European allies. 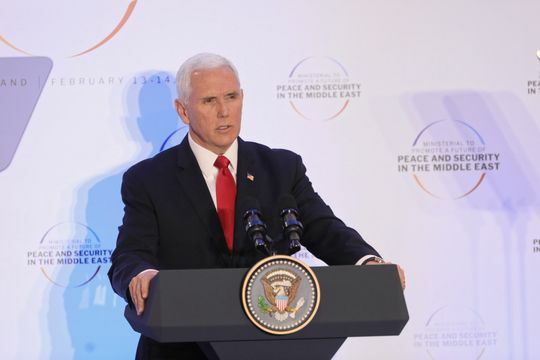 “During a speech at a conference in Poland about Middle East policy last Thursday, Pence called on America’s allies to follow the Trump administration in withdrawing from the Iran nuclear deal. “The time has come for our European partners to withdraw from the Iran nuclear deal, and join with us as we bring the economic and diplomatic pressure necessary to give the Iranian people, the region, and the world the peace, security, and freedom they deserve,” Pence said. He paused, expecting his audience to applaud. Instead, he was met with total silence. Visibly surprised by the reception, the VP took a deep breath and shook his head before proceeding with his speech. Pence traveled from Poland to Munich, where he gave a speech at another security conference that also quickly became uncomfortable. Pence began by saying he brought “greetings from the 45th president of the United States of America — President Donald Trump.” He paused for applause, but again was met with complete and utter silence. “Pence wasn’t the only Trump administration official who had an awkward time in Munich. White House counselor and first daughter Ivanka Trump was one of the few people in attendance at German Chancellor Angela Merkel’s speech who didn’t applaud when Merkel pointed out the absurdity of Trump’s position that German cars present a national security threat. “During her speech, Merkel criticized the Trump administration on a number of fronts, including the president’s recent decision to pull out of a treaty with Russia banning land-based intermediate-range missiles, and his announcement that American troops will be leaving Syria and Afghanistan. At some point, there must be a split between Europe and the US, perhaps even this year, although the Europeans may hold out in the hope of a Democratic victory in 2020. Europe is in a state of flux. Bible prophecy shows that, eventually, we will have ten kings come together, to form a revival of the Roman Empire. 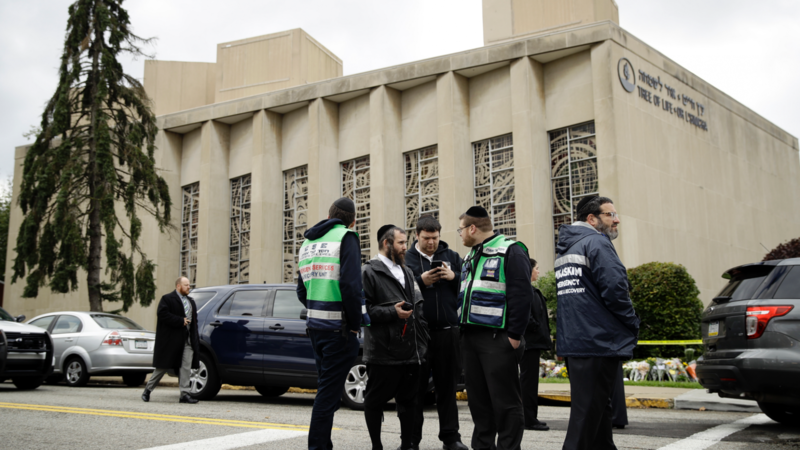 “Dozens of Jewish graves in eastern France were vandalized amid a rise in anti-Semitic acts and days after yellow vest protesters were filmed accosting a prominent Jewish academic. “American efforts to create a new alliance of Middle East nations to counter Iran are faltering amid regional divisions, the departure of key Trump administration officials leading the project, and discord over its mission, say US and Arab officials. “Once touted as an Arab version of the North Atlantic Treaty Organization, the so-called Middle East Strategic Alliance, or MESA, is no longer expected to bring countries together with a NATO style agreement holding that an attack on one member would be seen as an act of war by all the others.” (“Hopes dim for a new Arab NATO,” WSJ, 2/20). “As pressure builds on Prime Minister Narendra Modi to respond to the deadliest terrorist attack on security forces in a generation, the options available to him appear limited, according to analysts and former military officials. “The bombing last week in disputed Kashmir – claimed by a Pakistan based group and carried out by a Kashmiri militant – killed 40 Indian paramilitary forces moving in a convoy through an India-controlled area. The group that claimed responsibility, known as Jaish-e-Mohammad, operates in Pakistan despite being officially banned there. “Indians have reacted angrily to the attack, calling for a response to punish Pakistan amid daily media coverage of funerals and the families of the victims. “With India heading into a general election soon, Mr. Modi has publicly promised a military response, though he has declined to describe the timing or means more specifically.” (“India-Pakistan tensions rise over Kashmir”, WSJ, 2/21). “… US withdrawal from Afghanistan throws a lifeline to severely weakened but not thoroughly vanquished terrorist groups such as the Taliban, al Qaeda and ISIS. These groups – and others ideologically aligned with them around the globe – are already interpreting suggestion of a US retreat as a victory and an invitation to grow and press their advantage.” (Letter from Rina Amiri, WSJ, 2/21). There can be only one outcome to talks between the US and the Taliban. It means the Taliban will have total control in Afghanistan in time. Remember when the US had talks with the Communists in China? And the Vietcong in Vietnam? Both triumphed. The US lost. “We’re entering a new political era. The issues are bigger, they are far outside the mainstream, and they’re reminiscent of an earlier time. And the stakes are higher. “One of the first to recognize this was Senate Majority Leader Mitch McConnell. “I can pretty safely say that this is the first time in my political career that I thought the essence of America was being debated,” he tells me in an interview. Mr. McConnell thinks that socialism ought to be a tough sell today, given the prosperous economy and low unemployment. But maybe not. Polls show socialism has risen in stature, which Mr. McConnell sees as evidence of the new era. Last year, he notes, Gallup found for the first time that Democrats have a more “positive view” of socialism than of capitalism. “Another poll – this one from 2016 – showed Democratic primary voters “in every age group, every gender, and every race view socialism favorably.” Among Democrats 45 and under, 45% preferred socialism to 19% for capitalism.” (“Ocasio-Cortez heralds a new political era,” by Fred Barnes, WSJ 2/19). “I have settled my bar bill,” says Mr. Davis. In Mr. Barnier’s office . . .
“But you still want me to pay for it?! ?” exclaims Mr. Davis. “Now you mention it,” says Mr. Barnier, “there is Fred the Barman’s pension. We would like you to pay £5 a week towards Fred’s pension when he retires next month. He’s not well, you know, so I doubt we’ll need to ask you for payment for longer than about five years, so £1300 should do it. This brings your total bill to £10,000,” says Mr. Barnier. “Yes, it’s all perfectly clear and quite reasonable,” says Mr. Barnier. Now we understand what Brexit is all about!!!! !